Babajide Sanwo-Olu, the governorship candidate of the All Progressives Congress, APC, has won his polling unit in the Lagos State governorship election. Mr Sanwo-Olu emerged victorious at the election monitored at the Femi Okunnu Polling Unit 019, Ward 9, Lateef Jakande, Ikoyi, Lagos. 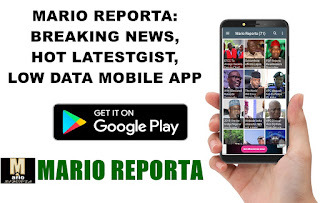 According to the results announced by the Independent National Electoral Commission, INEC, Presiding Officer, Miss Nora Akupo, Sanwo-Olu got 124 votes to defeat his closest rival, Jimi Agbaje of the Peoples Democratic Party, PDP, who polled 26 votes. Among other candidates who participated in the election, the Action Democratic Congress, ADC, got two votes and the Young Progressive Party, YPP, got one vote. The News Agency of Nigeria reports that total number of accredited voters were 157, while four votes were voided. Earlier, Mr Sanwo-Olu who voted at 10.53 A.M expressed confidence that he would emerge victorious in the elections while addressing newsmen. “I am glad that I have voted and I’m confident that I will emerge victorious at the end of the whole exercise, because we communicated and engaged everyone during our campaigns. “I have done a lot of work than my opponents in terms of reaching out to the people of the state and spreading my manifestoes; so that gives me an edge. “Also, exactly six months ago, Sept. 9, 2018, I collected my nomination form from the party and such coincidence means that I will be the next governor of Lagos State. “Earlier, there were reported slight issues with the card readers. But I am happy that they have been resolved and generally, the elections have been peaceful and I’m confident of winning,” he said.